Courtney Hartman and Taylor Ashton CD Release - and slow touring | Wit Works Ltd.	Courtney Hartman and Taylor Ashton CD Release - and slow touring | Wit Works Ltd. They have been exploring how to set up different conditions for gaining audiences and touring. 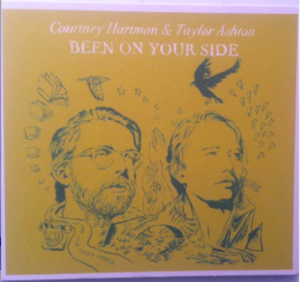 Some of this thinking has found a home in the tour Courtney and Canadian singer/ banjo player / songwriter Taylor Ashton are starting on August 31 in Colorado.